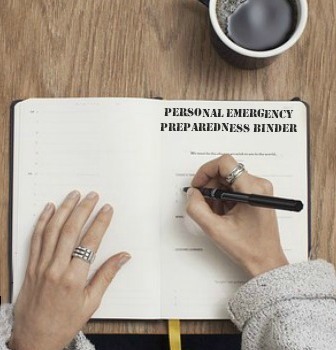 As preppers, we have all sorts of lists to help us remain organized and better prepared. We have lists of food supplies, lists of off-grid supplies,lists of non-food supplies, lists of medical supplies, and lists of books. We have first aid lists, water purifications lists, and personal hygiene lists. 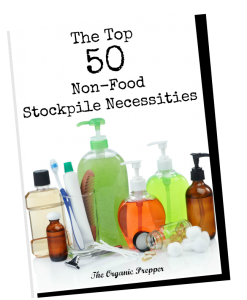 But there’s one prep that hardly ever makes it on any lists, and my friend, medical professional Lizzie Bennett of the website Underground Medic is going to explain why this humble item is one of the most important things you’ll ever stockpile. Your skin is the largest organ of your body. It holds everything together and forms a barrier between your delicate internal organs, your muscles, bones and tendons and the elements on the outside. Your skin is an amazing organ. It’s waterproof but at the same time semi-permeable. It allows waste products to seep out, such as sweat and it can directly absorb vitamins such as vitamins A, E, and C. It protects against infections too numerous to mention – providing it remains intact, but therein lies the problem. The skin is easily damaged. Anything sharp, from a bramble thorn to a stiletto blade damages it. The sun can burn and blister it. Foreign objects can pass right through it. It is susceptible to blunt force trauma causing a drop in circulating blood volume as the blood from broken capillaries seep into the damaged area causing the classic discoloration of bruising. It is affected by chemicals and environmental pollution. If it is over-stretched collagen in its sub-structure tears and stretch marks form. The nerve endings within stretch marks are damaged permanently. For all its delicacies, skin is amazing. If you look after it, your skin will remain in good condition throughout your life and can directly help to keep you healthy by keeping out bacteria that would otherwise have access to the interior of your body where it would sicken or even kill you. Keeping your skin in optimum condition is surprisingly easy. Wash it daily and keep it soft so it retains its elasticity. Supple skin is far more resilient than dry skin, so moisturizing is essential. But how many people actually think to stockpile lotions and oils for moisturizing? Not nearly enough. I’m not giving you beauty tips here. Even the men reading this should read on because you are more at risk than women from skin infections and infections entering the body via a break in the skin. Women, on the whole, take better care of their skin than men do. Nothing personal guys, it’s just the way it is. How does moisturizer fit in with preparedness and storage of all things useful? Moisturizer should be on everyone’s list of products to store for hard times. SAs I said supple skin is resilient skin…or rather more resilient than dry skin. If you find yourself in a situation where you are doing more manual labor, chopping wood, tending a garden, and using manual tools your skin is going to suffer. Dry skin is also prone to cracking, particularly on the heels and the hands if they aren’t protected adequately during cold and wet weather. Also, keep in mind that being dehydrated shows on your skin. If the disaster has caused a situation in which you may not be drinking enough water, moisturizing externally becomes even more important. Adding moisturizer to your preps can save a good deal of pain and possibly even save your life. Necrotising fasciitis is commonly known as the “flesh-eating bug.” Several bacterium can cause the condition A Streptococcus (group A strep), Klebsiella, Clostridium, Escherichia coli, Staphylococcus aureus, and Aeromonas hydrophilia, among others. Group A strep is considered the most common cause of necrotizing fasciitis. In cases of necrotizing fasciitis, bacteria spread rapidly once they enter the body. They infect flat layers of a membrane known as the fascia, which are connective bands of tissue that surround muscles, nerves, fat, and blood vessels. The infection also damages the tissues next to the fascia. Sometimes toxins (poisons) made by these bacteria destroy the tissue they infect, causing it to die. When this happens, the infection is very serious and can result in loss of limbs or death. Good Wound Care Is Important. Cleaning necrotic wounds in a crisis would be difficult and death is a distinct possibility if it’s not done right. Common sense and good wound care are the best ways to prevent a bacterial skin infection. Keep draining or open wounds covered with clean, dry bandages until healed. If you have an open wound or active infection, avoid spending time in whirlpools, hot tubs, swimming pools, and natural bodies of water (e.g., lakes, rivers, oceans) until infections are healed. Wash hands often with soap and water or use an alcohol-based hand rub if washing is not possible. Do you have moisturizer put back? If not, you’ll want to add some or get the supplies and instructions for making your own. Lizzie spent 25 years working in the National Health Service in the UK. She specialized in major trauma and taught both basic and advanced life support and practiced these skills herself as an accident and emergency practitioner. As a member of the Major Catastrophe Team, she dealt with many large scale incidents ranging from train crashes and multi-vehicle accidents to nail bombings. She has made it her mission to find as many low-tech but effective medical fixes as is humanly possible and tries out as many as her very tolerant family and friends will allow. You can read more from Lizzie on her website, Underground Medic.